If you’re ONLY concerned about getting people into your business, then just build your business directly…and don’t use a system. Most Internet network marketers like myself are concerned about truly teaching and helping people understand important marketing and business building concepts. And so using a system not only educates Potential prospects, it also funds your business with retail products and services that are beneficial to your prospects. When you lead with your opportunity, you cut off a lot of people you meet on the Internet because most people already have a biz opp and they’re not gonna dump theirs to join yours right off the bat. You’ve got to build that relationship FIRST. I don’t recommend systems that are attached to an opportunity… for pretty much the same reasons as stated above. If you understand people, and human behavior, then you understand how marketing systems work so well….at least the good ones do anyway. Either which way, you still need to learn marketing whether you build your business directly or with a system. A system is just a tool. What determines your success doesn’t come down to the opportunity or a system. It’s what you do or don’t do on a daily basis. Good post Larry. I think you opened the eyes of a lot of people that systems are a piece of the puzzle. then just build your business directlyâ€¦and donâ€™t use a system. For people who have limited html knowledge and limited success piggy backing on a network marketing teams back that is already successful is a good start. I personally created a “system” for people to learn from and build their businesses if they wish. I also give the training site away for free no strings attached, check it out sometime! are beneficial to your prospects. My point is, there are systems online that let you add whatever programs you want for a small fee… So you get someone to join through your affiliate link to use the system also paying a small fee.. What is actually getting them to join your business? Nothing really you made money on selling the site, but your network marketing business is not growing. Building a relationship with people who come through your system is very important. This is really where most people mess up. Integrating an affiliate network into your sales funnel is what I consider to be a very smart move and a necessity in today’s marketplace. It provides someone with the ability to operate their business at less cost per lead if done correctly. Thanks for the post. .-= Keith Ellertson´s last blog ..How Affiliate Marketing Network Feeds Broke Cable Guy and His Familyâ€¦ =-. I know a good number of people at internet earning money with affiliate marketing. While it is a free business without big investment. Affiliate marketing may be Nice job for all who are interested. .-= DrKeithCurrie´s last blog ..Chiropractic Marketing =-. Very good article. Indeed, system will not make money. 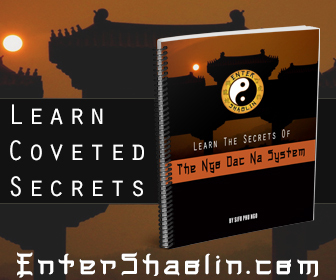 System should be used by people who know the main principles of network marketing. You should be fully committed to it with clear strategy and blueprint in place. 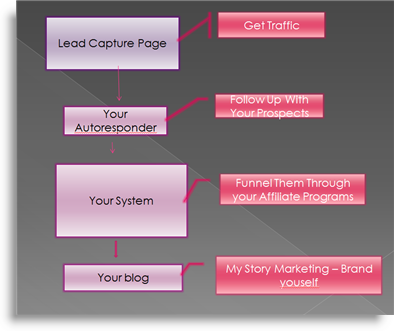 Only than the system will help you to generate leads and convert them into distributors for your primary business. You hit the nail on the head…and I think you realized you did! I don’t want to turn this post into a marketing lesson… but just bare with me. People who buy from you once….are likely to buy from you again. People buy from people they trust and like. If you have people in your marketing funnel and you are building a relationship with them and giving them good content, good recommendations that help them, they are more likely to buy whatever it is you put in front of them…an ebook, an opportunity, etc…. Exactly, but you should still get on the phone and call those leads you generate. You’re still building a relationship. Anyone who doesn’t understand marketing…read, read, read. Always be a student and keep learning. If you don’t “get it”…find out where you’re getting stuck and learn it. Until I got tired of being in the “clouds” and not “getting it” was when I got busy and really learned Internet marketing. And it’s definitely paid off for me. .-= Corrisa ´s last blog ..MLM Lead Generation: Unlocking the Secret =-. So true about relationship building. I’ve seen it myself where when yo think of relationship building as another pillar of ones business, you can really start to double and triple the revenue in your business just by building relationships with people through various mediums. Well Said Kurt, I couldn’t of said it better myself. Systems make life a lot easier when to comes to recuiting on the Internet but too many people ignore the most imporant aspect of network marketing – connecting with people for real. I find periodically sending my list members a joke or two and links to interesting articles I find on the web helps to maintain relationships over the long term. And yes, it’s those relationships that drive business. 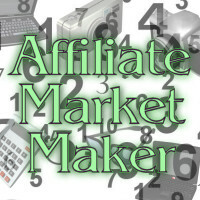 Hey great article on Affiliate Network, great help and pretty well written. You should really check up on getting a custom gateway design for your widgets. It could really push you some extra info….i absolutely love your unique blog, i would be very honored if you would want me to post a bloomy review about this blog, Thank you very much and of course I would like that, feel free. Took me time to read all the comments Larry, but I really loved the article. It proved to be really useful to me and I’m positive to all of the commenters right here as well!